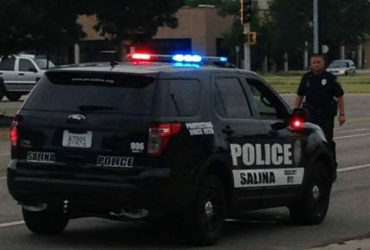 A company from Salina was among those from around Kansas honored this week. Creativity, customer service and commitment to community seem to be the hallmarks of the entrepreneurs and rural community advocates recognized by K-State’s Huck Boyd National Institute for Rural Development as Leaders of the Year for 2019. “We salute these Kansans for their innovative ideas and service to rural communities,” said Dan Caffrey of Marysville, Chair of the Board of Directors of the Huck Boyd National Institute for Rural Development. Technology – Anjan Ghosh Hajra, Immersion 3D Plus, Salina. The winners received their awards at a luncheon in Manhattan on April 12, 2019. Dennis Wright is the fourth generation on his family’s farm. After considering how to add value to their sunflower production, the Wright family decided to market unrefined sunflower oil which is high in Vitamin E, has antioxidant properties, and is higher in unsaturated fats than refined oil. Wright’s Farms Sunflower Oil is now for sale online and at approximately 30 independent grocery, gift shop, and museum stores across Kansas. For more information, see www.wright.farm. Corning, a community of 157 people in Nemaha County, has had a remarkable record of community improvements. As reported by local resident Roger Haug, Corning in recent years has installed a completely new city water system, built a new city community center complete with a city library and medical clinic, created a beautiful new city park where the high school once stood, constructed a new and all-important fire station, installed a helipad for emergency Lifestar transport, and begun a three phase ballpark renovation including new concessions, bleachers, field and lights. The community also hosts an annual festival called Cornstock. As a child, Cody Foster observed the financial challenges of a small-town restaurant operated by his grandmother. He decided he wanted to help others overcome such challenges. In 2005, he and two friends started a financial services business called Advisors Excel in Topeka. The company has grown and today employs over 550 full time team members in Topeka. The company supports over 600 independent financial advisors across the country giving them access to over 40 major insurance companies, a registered broker dealer; and an SEC-registered investment advisory firm called AE Wealth Management. This year Advisors Excel was recognized by Fortune as the 12th best workplace in finance and insurance in the small to medium sized category. For more information, see www.advisorsexcel.com. Joe and Cathy Broeckelman farm near Selden. One day after Cathy Broeckelman made a batch of cookies for her family, her husband Joe said, “Those are so good that we should sell them.” The Broeckelmans decided to market their frozen cookie dough. They now offer nine flavors of frozen cookie dough plus hand-dipped nut clusters and more. The Broeckelmans also raise hogs and market their pork privately in various cuts, chops, patties and sausages. Their company is known as The Satisfiers. Casey Cagle grew up in southeast Kansas but had a yen to travel. After traveling cross-country and serving as a tour guide in California, he moved back to Kansas. In 2016, he launched his own business called Prairie Earth Tours serving the Flint Hills region. In addition to custom tours, he offers wildflower tours and photography clinics in the spring, sunset horseback rides in summer, and a craft brewer’s tour in the winter. For more information, see www.prairieearthtours.com. Anjan Ghosh Hajra is CEO of Immersion 3D Plus or I3DP, a pioneering 3D imaging company in Salina. The company’s process uses digital equipment to provide volumetric visualization of what is inside people or things. For example, this can portray the inside of a human organ for a doctor or specialist, or the inside of a building or piece of equipment for an engineer. No 3D glasses are required. This technology has even been examined by the U.S. Department of Defense and others. 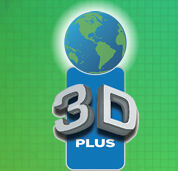 For more information, see www.i3dplus.com. The 2019 Huck Boyd Leaders of the Year winners were selected by entrepreneurship students in K-State’s College of Business. Each year the Huck Boyd Institute selects its leaders of the year from among those featured on its weekly Kansas Profile radio program and column during the previous 12 months. Kansas Profile is distributed by the K-State Radio Network and K-State Research and Extension News Media Services to radio stations and newspapers state-wide. The Huck Boyd Institute is a public/private partnership between K-State Research and Extension and the Huck Boyd Foundation. The Foundation office is at the Huck Boyd Community Center in Phillipsburg. The Institute office is at Kansas State University in Manhattan.